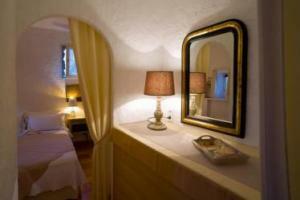 Large rooms measuring 34 to 38sqm with A / C.
27sqm room with private terrace. Some rooms have the possibility of twin beds. 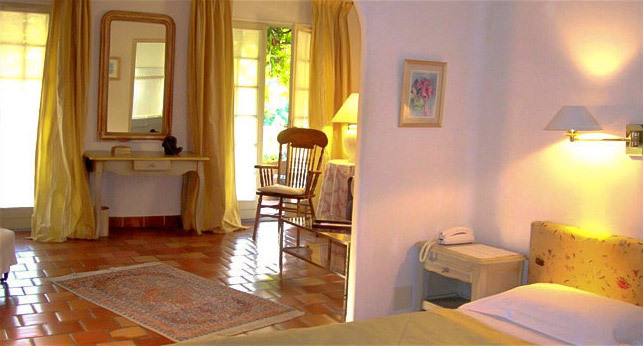 Room with A / C , opening onto a private, flowery terrace, overlooking the garden. Room located on the ground floor opening onto the interior courtyard of the Mas. 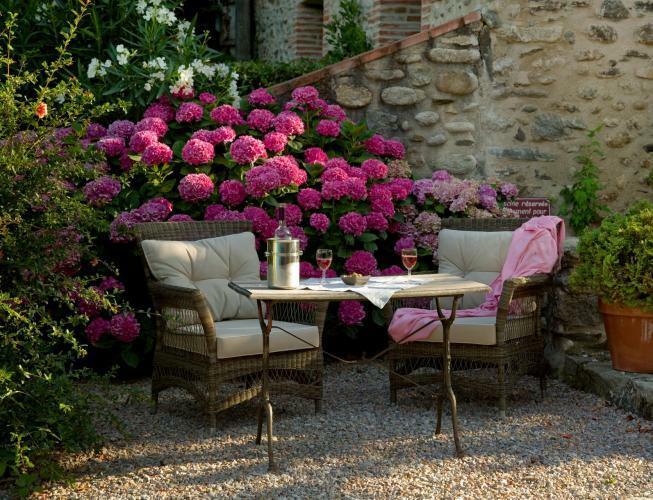 Situated near the Spanish border between the sea and the mountains, you will discover this 14th century Catalan country home at the end of an oleander-lined path. Inside, a harmonious blend of traditional and contemporary styles with an easy-going family friendly atmosphere. Most of the individually decorated rooms have a private terrace and a/c. The flower decked terrace is the perfect stage for discovering the Roussillon scents, with the pool located within a beautiful garden overlooking the river. 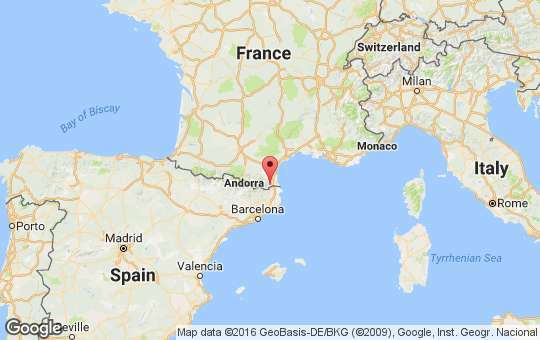 The area offers a superb range of walks as well as the delightful town of Céret and its modern art museum. We had a truly delightful stay here. 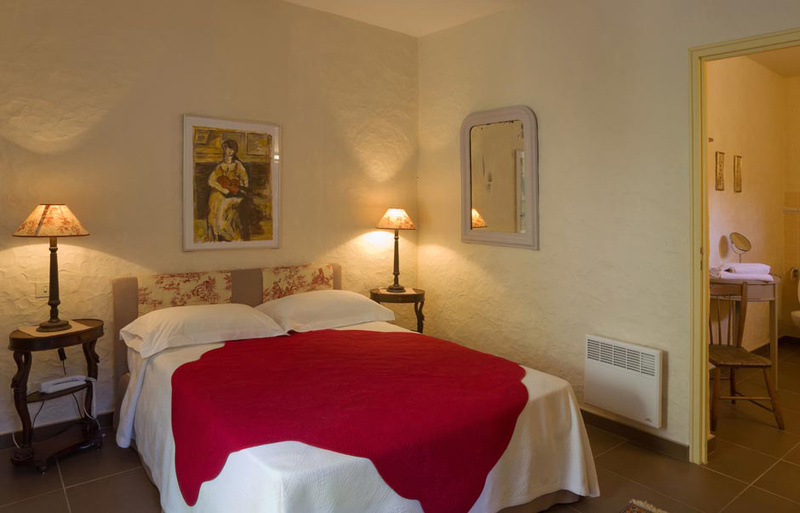 Everything about Hotel le Mas Trilles was done with attention to detail ; the rooms and environment were tasteful and of the highest standard, the hosts welcoming and friendly. We would certainly stay there again. Mas Trilles was everything and more than we expected it to be. The setting is beautiful and the stone buildings are perfectly harmonised with their immediate environment. The hosts were kindness itself and nothing was too much trouble. Their care for us was proactive and everything was thought of - and always with a big smile. Very comfortable and well appointed rooms. The owners are very accomodating. 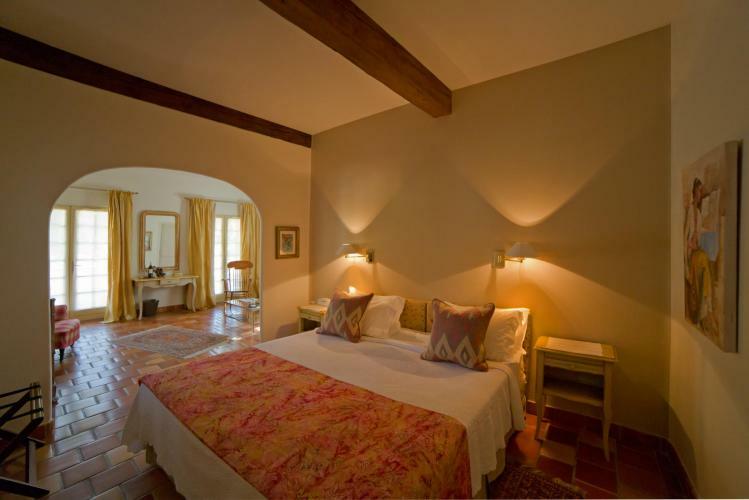 We have no hesitation in recommending Hotel le Mas Trilles. Everything was as we had hoped. 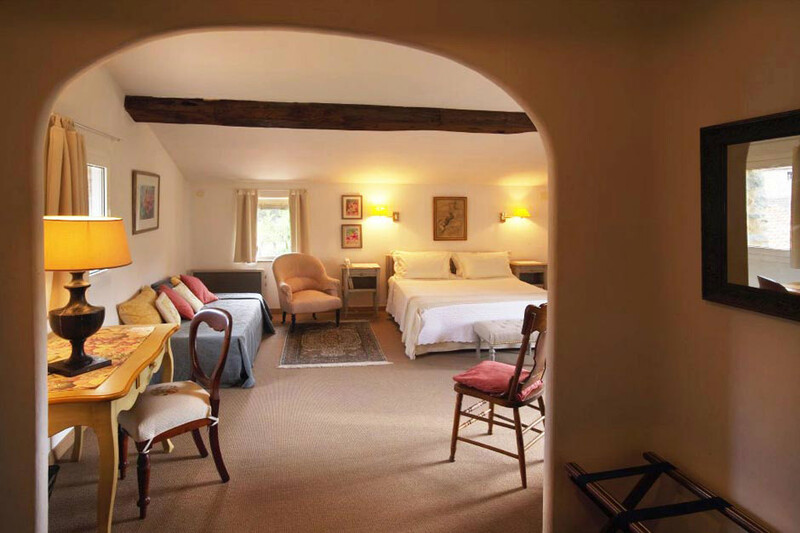 A beautiful room, characterful property and excellent hosts. The Bukk’s are admirably carrying on the tradition and very high standards set by Stéphane’s parents over 30 years ago. We can not recommend Le Mas Trilles highly enough. 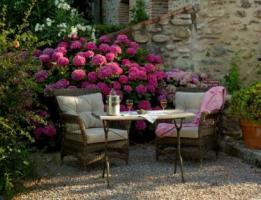 A wonderful stay in a beautiful restful converted farmhouse. 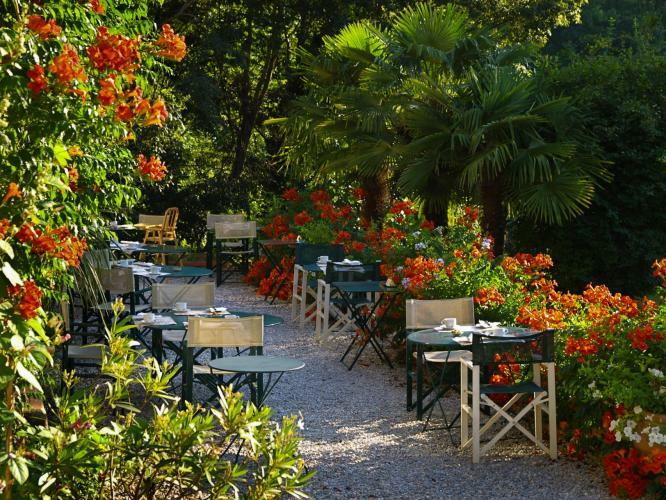 This is a beautiful well kept and well managed hotel in a sublime location. The owners are very welcoming and create a wonderfully relaxed atmosphere. 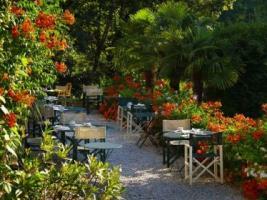 A wonderful hotel with beautiful, well maintained gardens and pool area. Excellent service and attention to detail is provided by Stephane and Amparo. A relaxing oasis of calm. 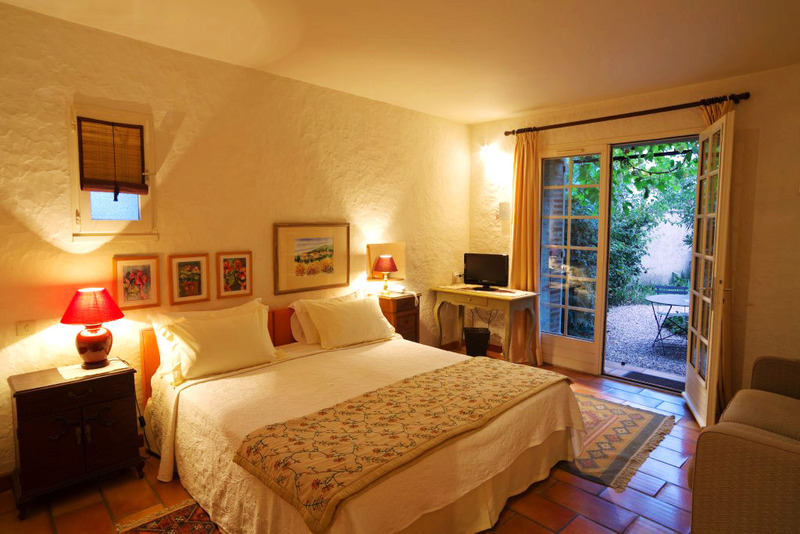 We really enjoyed staying at Les Mas Trille, it lived up to all the reviews we read, and we would recommend it highly! This was a beautiful hotel with interesting buildings and furnishings. The private terrace was a bonus and it was nice to have the grounds leading down to the river. The receptionist was exceptionally welcoming and helpful, guiding us to a charming restaurant nearby. Belle surprise pour un séjour très agréable. Nous avons trouvé ce que nous cherchions : calme, tranquillité, accueil chaleureux mais discret. Merci pour ces quelques jours de retour sur soi et de sérénités. Très belle bâtisse ,restaurée et meublée avec goût, lieu de quiétude ,piscine agréable , personnel adorable et efficace ; chambre parfaite . A peaceful and restful weekend break, during our motorcycle tour, in beautiful surroundings with very comfortable accommodation and friendly, considerate, helpful staff. 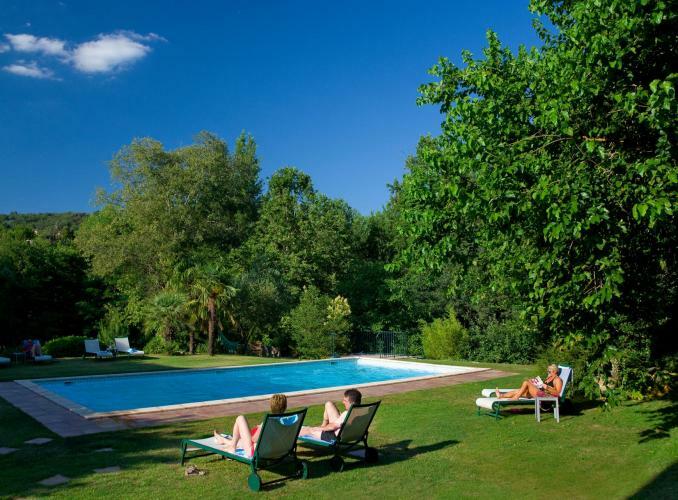 Hot day spent by the pool, next day pleasant walk into Ceret to the Museum of Modern Art. Evenings with great tapas and drinks outside or in the sitting rooms. Our second visit - and we would like more. Élégant, calme, bien tenu et entretenu à l'abris de la foule dans un écrin de verdure peuplé d'oiseaux affectionnant les trilles. Depuis plusieurs années nous revenons toujours avec plaisir passer quelque jours au Mas Trilles . 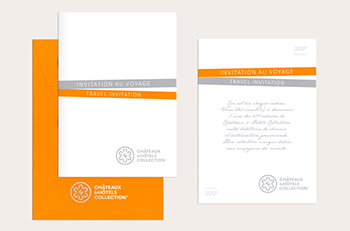 ( gentillesses des propriétaires , joliesse du mas , raffinement simple ) . Nous ne pouvons commencer notre commentaire que par des remerciements pour l'ensemble du personnel de ce lieu si apaisant. 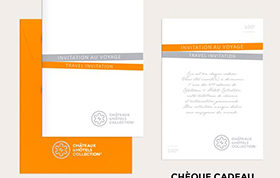 Nous avons été accueillis et servis comme jamais auparavant. Petit déjeuner servi à table (ce qui est très rare) avec une extrême politesse et une gentillesse présente à chaque instant, toujours aux petits soins pour leurs hôtes. Des gens formidables gère ce lieu superbe ! Calme, idéalement situé, piscine, tout est parfait. Nous le conseillons sans hésiter ! Encore merci à vous. My wife and I had a splendid stay of one week at Le Mas Trilles. Marvelous estate and impeccable service from the personel. Recommendable! Je wordt hier met persoonlijke zorg omringd. De bediening is attent en persoonlijk. De inrichting van de "mas" en de grote tuin eromheen zijn bijzondr fraai en sfeervol. Einige minpunt: in sommige kamers is het geluid van de nabije, vrij drukke weg te horen. Hotel Le Mas Trilles was perfect. The staff tried to get in touch with us throughout the day, but we were late to arrive and the office was closed for check in. They very kindly came out as we parked and we were able to get our key. I really appreciate the staff going out of their way to accommodate our late arrival, and endless apologies! The room was very comfortable and clean and the hotel grounds are stunning! We chose to have breakfast and agreed that it was one of the best meals of our entire trip. The short walk to the river is lovely, and we soaked up some sun by the pool until check out. I was very sorry to only have stayed here for one night. I will absolutely be back to stay for much longer. Thank you! 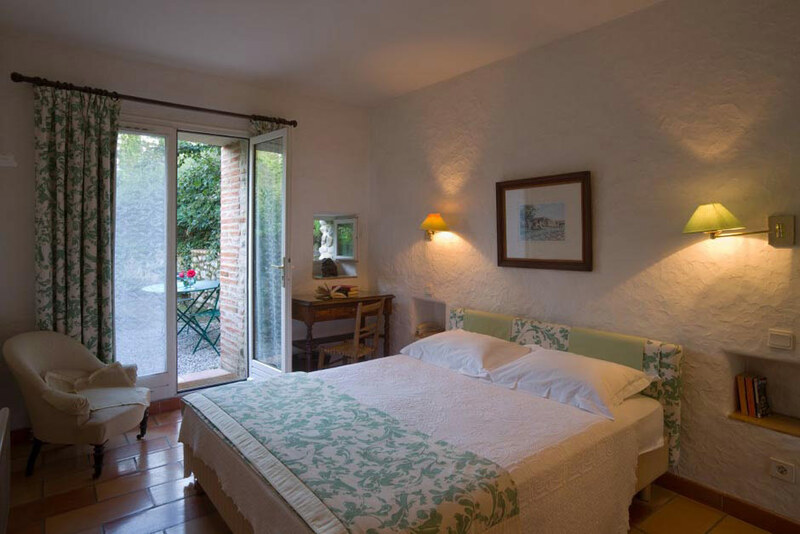 This is a lovely inn near Ceret, well worth a stay. Our room was comfortably and tastefully furnished. The inn's grounds and public rooms are attractive. This is a charming hotel with wonderful staff. They were extremely helpful with excursions and recommending things to do. The hotel was very comfortable, with a lovely garden and pool. I would return every year if I could! We had a great 9 days at this hotel. Relaxing, high quality, boutique and unique all in one. 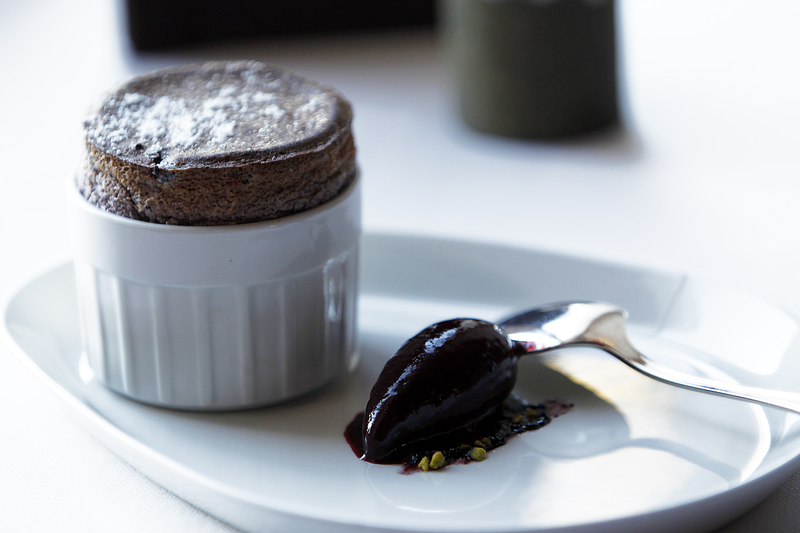 The owners were charming, helpful and very personable as were the staff in general who we met. We enjoyed our stay very much and will go back. An absolutely lovely hotel in all respects! 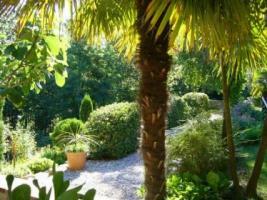 A lovely quiet place with a lovely pool and surrounding grounds with trees and river. Ideal for a stopover if you're en route to Spain. Everything was great. Highly recommended. We absolutely loved this beautiful property and the excellent service we got. A charming couple. The hotel was of very high standard in an unfussy way. Lovely pool area. What a lovely relaxing hotel this has to be one of the most comfortable hotels I've ever stayed in. The staff, location and food couldn't have been better I wouldn't have changed a thing and look forward to visiting again. 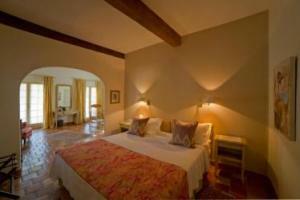 Wonderful hotel: everything: the rooms, the common areas, the garden, the swimming pool! Very welcoming hosts that make the stay even better. I would strongly recommend it and look forward to going back! An oasis of tranquility, combined with a generous and genuine welcome from hosts and staff..glorious architecture to return to each evening and a environment/ world surrounding full of complex history ancient and 'recent', as well as mountains and sea. This magnificent potential for history and 'art' travellers seems to be overlooked in your criteria for assessing such a wonderful gem! 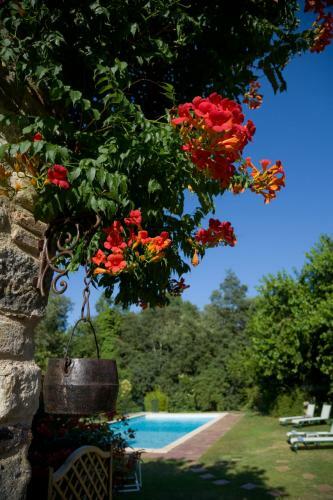 Beautiful 'Mas' within a lovely landscape with views to the Pic du Canigou.. A well decorated house with a lovely garden around a nice swimming pool and walking paths to the nearby river. A true harvest of peace and good taste . I choose the hotel for the location and its art, however I think it's charm needs a new eye looking over it. This is an absolutely charming hotel, made very comfortable by the owners. By far the best we have staid in during our journey through France. Lovely comfortable bed and everything supplied for a comfortable stay. The home made breakfast jams were wonderful, so were the healthy breakfasts. We felt quite pampered and well looked after. A fabulous place. 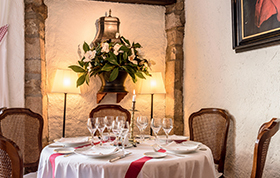 It's location next to Ceret offers all the advantages of luxury accommodation, but close to the local town, it's amenties and restaurants, bars etc. On arrival you can't help but be impressed with the historic architecture, the boutique hotel feeling - and the accommodation and service do not disappoint. The service provided by the host Stephane and his wife is attentive, but not intrusive, responsive and just excellent in every way. Our room was like a home from home, comfortable, well equipped and spacious. We really enjoyed our stay and would have no hesitation in recommending La Mas Trilles as a special destination. A beautiful hotel that is very well run by enthusiastic and helpful management. Great Hotel in lovely setting by the river. Great room and friendly staff. 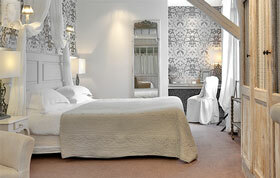 Delightful, relaxing hotel, tastefully furnished and comfortable. The owners were charming and very helpful. Highly recommended. I have wanted to visit this area for some years, and when i came across this Hotel online, i decided to book immediately. It proved a wise choice, the location, the room, the staff were exceptional and we shall return very soon. Highly recommended. La estancia en el hotel fue perfecta, y la realidad supera con creces los comentarios y fotografías que están en la web. A delightful retreat with charming staff and beautiful decor. We loved every minute.